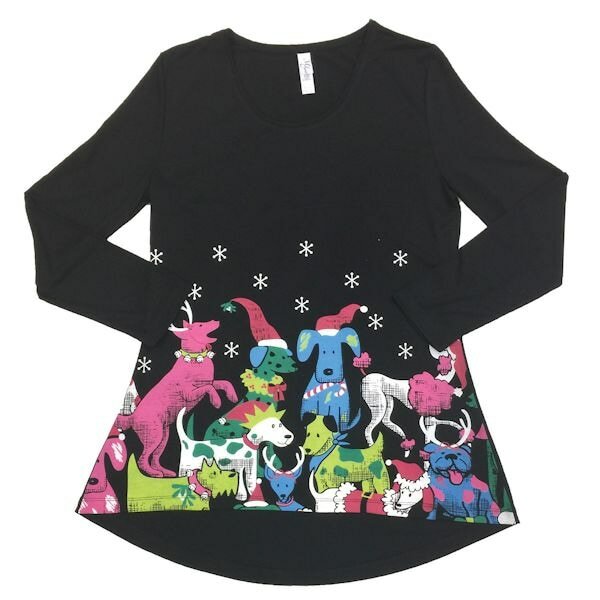 The holidays are all about dressing up, getting together with the pack, and raising a ruckus-just like the dogs and cats on this party-ready tunic. Long-sleeve scoop neck tunic with a flattering swing cut. Machine wash. 65% Polyester/35% Rayon blend. S-XXL. S(4-6), M(8-10), L(12-14), XL(16-18), XXL(20-22). Imported.